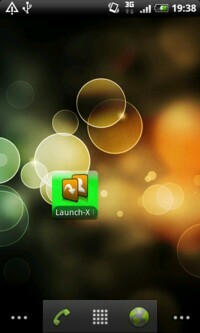 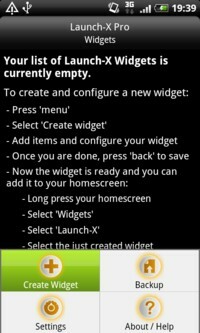 Let's see, step-by-step, how to create a Launch-X widget, add some items (applications, contacts and generci shortcuts) to it, customize the widget, and finally add it to the homescreen. 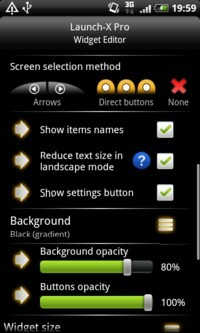 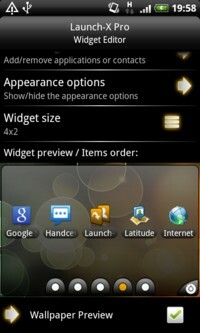 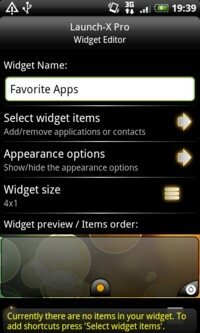 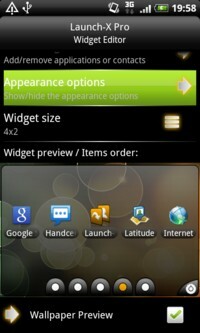 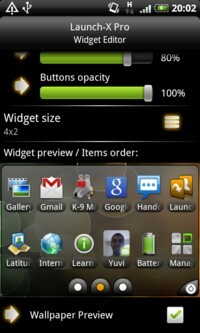 Modify the current widget size by pressing on 'Widget Size'. 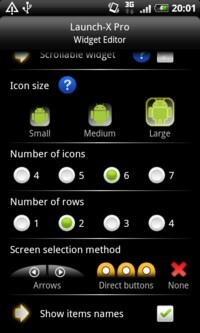 Icon size Select your preferred icon size (among 'Small', 'Medium' and 'Large'). 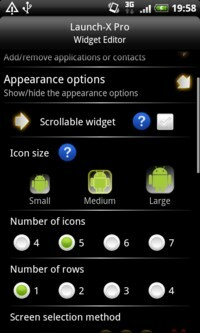 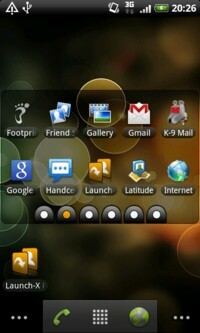 Please note that the actual size of the icons might shrink depending on the other widget's configurations. 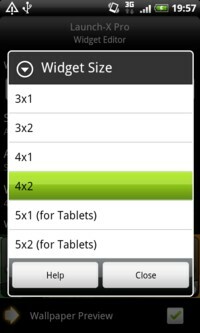 For example, if you create a 3x1 widget with 7 large icons per row the real size will be smaller to fit the items. 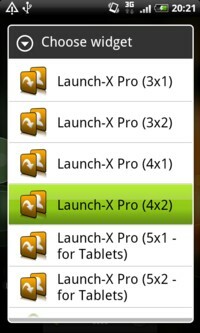 We are basically done! 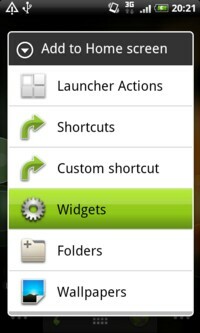 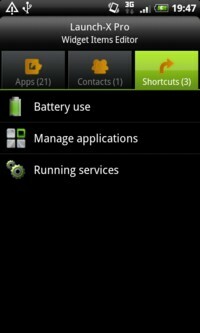 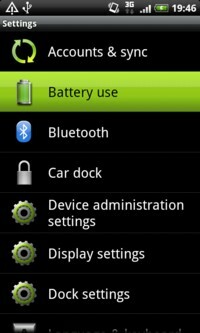 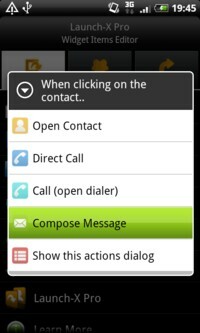 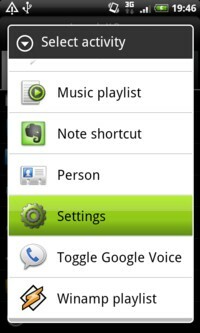 Now press the 'back' button the save your widget's configurations. 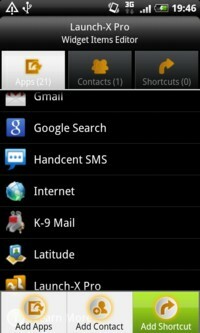 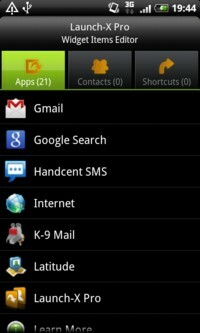 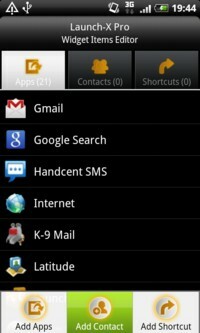 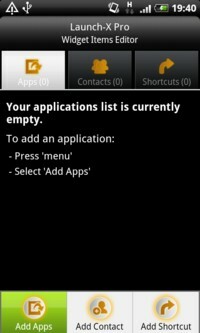 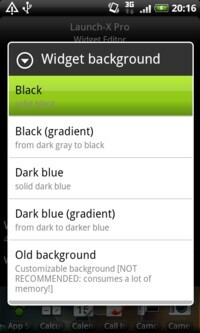 This will take you back to the initial widgets list. 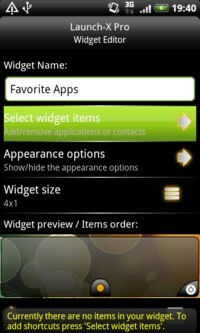 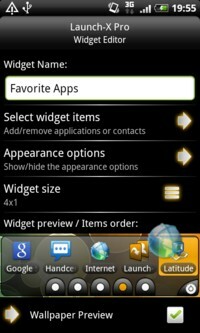 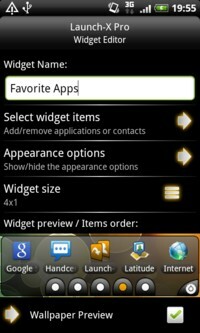 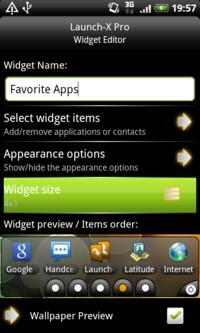 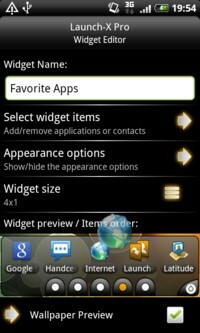 Now there is only one widget, but you can create as many widgets as you like. 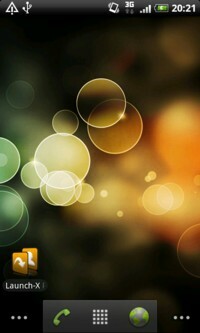 If you need more help feel free to contact me.